As a former recruiter of a high-volume restaurant group, I can tell you first hand that hiring great management is a serious challenge, not to mention chefs. Of course, experience managing a kitchen, efficient in execution, budget consciousness, and training staff are all no brainers in hiring a top notch BOH talent, but once someone takes the reins in your kitchen things can change- fast! A green chef can sometimes switch it up for better, but more often than not for the worst. Since it’s too damn hot in the kitchen to just let anyone manage your BOH Team, Harri turned to our vibrant hospitality network to see what some hiring managers / owners might miss in their chef search. Like prep before every service, lay out your mise en place …or in this case your honest expectations of the job at hand. Have a written description ready and make sure that duties of the position actually fit the title. A “full disclosure of expectations, [and] making sure you are advertising for the right title”, will prevent any confusion during an interview and post hire. You should not expect an Executive Chef to run food or Kitchen Managers to interact with guests. This also keeps your interests at heart, as anyone can say a duty is not his/hers but if there is a paper trail, then no one can deny it. According to Chef Cash you should also be as upfront as possible with any obstacles your restaurant has faced in its past – high food costs, line-level staffing, inconsistent plates, varied ticket times, paying invoices on time, etc. Having “transparency in the challenges the restaurant is facing "could be a deal breaker for some, but if a candidate has come across these problems before and solved them, it could [be] true game changer for your overall business. Since hiring is a two-way street, “be prepared to trust who you hire”. Try your best to throw in questions about integrity (ie. Tell me about a time when your morale was compromised, what did you do? etc). If this person is taking on a leadership role in your business, having faith in his/her abilities is crucial. Be sure to not let prior issues cloud your judgment, and lead to micromanagement. The last thing a great chef wants is someone breathing down his or her neck. The best chef in the world has absolutely no value to your restaurant if they have zero interest in the concept. 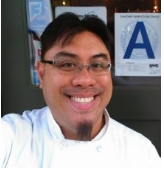 Chef Landas urges that viable candidates, “at the very least, [should have] a strong interest in the cuisine style of the restaurant”. Hiring a chef with 5 years experience at a farm-to-table, Italian restaurant will most likely not benefit a Chinese restaurant specializing in Dim Sum. If your concept’s brand relies heavily on a set menu, make that fact crystal clear to your prospective chef. Otherwise you could end up with,“ managers and chefs who will try and make the place ‘their own’, deviating from your restaurant’s theme. A nice way to approach this is keeping the set menu through a certain period of time (maybe a season or quarter) and allowing the new chef to explore creativity through specials. Seeing how well the specials sell can be a good indicator on whether or not to let him/her tweak the menu, before changing it all together. This is a notoriously “touchy” subject, especially with chefs. Always remember that no one is special enough to treat others with disrespect in your business, most importantly your BOH Team. Leading a great team in any field requires a certain level of humility, great chefs “should be confident, but not cocky”, and still maintain a “willingness to learn” per Franklin Becker, even at a high level in their careers. There’s nothing worse than a tenured chef, who comes into a kitchen with no room for compromise. This attitude is counter-productive and drives kitchens into the ground. Chef Landas recalls, “I’ve seen many instances where highly qualified chefs scare off good quality staff because they were a**holes”. The my-way-or-the-highway days are over, even in the best restaurants, look at Noma and Alinea. They dedicate nights when cooks of all levels can present different dishes to the team and brainstorm menu ideas. Collaborative mindsets with staff make a huge difference in service, and gaining line-level staff trust is key. According to Mike Landas, “It’s important to design your interview [process] to see if the candidates will have chemistry with the staff”. This is where trailing is important, choose your busiest shift and throw them in the mix – brunch and Thurs – Sat @ 7-9 PM dinner service are highly recommended. After he or she leaves, ask the line-level staff/ cooks, what they think and if they would listen to this person. If this seems counterintuitive think of it this way: you want to put the best captain at the helm of your ship, it’s best that your kitchen does not become the Titanic, and that all the lifeboats are onboard.